Italian boutique Slam Jam is no stranger to the collab game, releasing memorable sneakers like their patent leather Air Force 1s and vibrant Asics Gel Lyte III. Now they team up with Vans for the first time ever to release yet another colorful collab, with a three-pack of classic models inspired by the theme of colors. The collection includes the Old Skool, Slip-On, and Sk8-Hi, each featuring a rainbow assortment of colors outside, inside, and below. 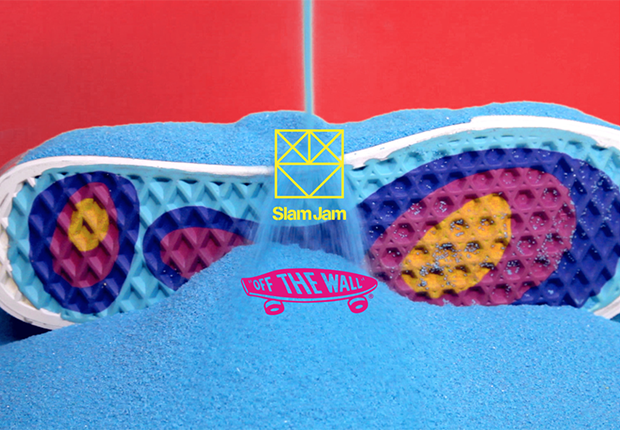 View the following video to get an idea of what you’re dealing with, and then expect the Slam Jam x Vans at Slam Jam and select Vans retailers globally on June 11th.